Misty Griffin’s courageous life story sheds light on the hidden, untold, stories of the MeToo movement. 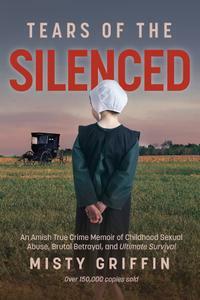 A true crime memoir: When Misty was six years old her family started to live and dress like the Amish. Misty and her sister were kept as slaves on a mountain ranch where they were subjected to almost complete isolation, sexual abuse, and extreme physical violence. The two young girls were too terrified to escape, they also knew that no rescue would ever come because only a few people even knew they existed and they did not know them well enough to care. The strict religious clothing the family wore acted as a barrier no one was willing to breach in order to check on the girl’s welfare.